President Clinton's quote above thanked some of the most crucial players in the desegregation of Central High in 1957, including President Eisenhower. 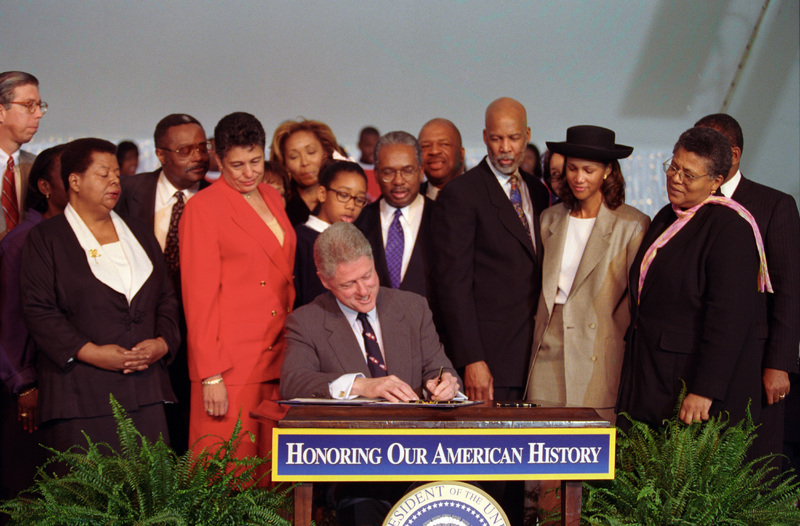 President Clinton and President Eisenhower both celebrated the transformation of a federal power that once blocked school desegregation into a government that demanded integration. The nine students had originally tried to enter the school again on September 23rd but had to be removed by Little Rock Police for the sake of their safety due to the segregationist rioting. In response, President Eisenhower placed the Arkansas National Guard under federal orders and sent 1,200 members of the 101st Airborne Division to Little Rock to quell the unrest and protect the students, allowing their entry on September 25. [Executive Order 10730] The troops remained in Little Rock throughout the school year. In May 1958, Ernest Green became the first African-American student to graduate from Central High School. The Eisenhower Presidential Library has many digitized documents that reflect the Eisenhower Administration’s involvement in the Little Rock Crisis, as well as how it captivated the attention of the entire country. 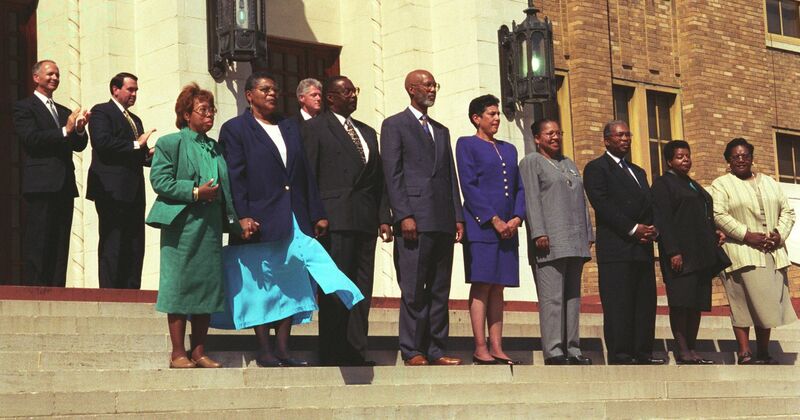 On November 6, 1998, President Clinton signed legislation designated Little Rock Central High School, as well as the visitor center in the newly-renovated Mobile station nearby, as a National Historic Site. To this day, it is the only operating high school in the National Park system. ← "We Must All Thank Them"